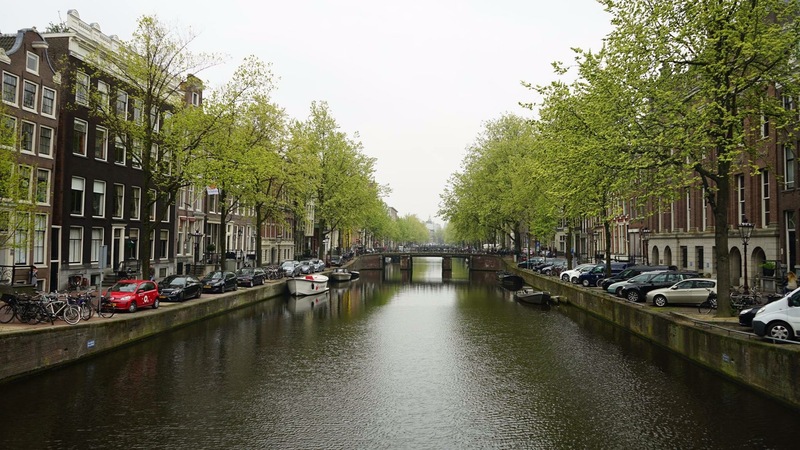 Budget Travel Tips for Amsterdam, with or without family! Visiting one of the world’s most expensive cities, one of the world’s most visited cities, within budget expenses, is always a challenge. Most of us have dreams of visiting Amsterdam one day. And yet many of us are deterred by various factors and questions. Can I afford it? Is it a safe city? Is it worth it? Should I opt for a group tour? Will I get vegetarian/halal food there? Will I need to stay in a pigeon-hole hostel in a shady colony as actress Kangana Ranaut did in Bollywood classic movie Queen? Will I be mugged/pickpocketed there? Will taxis rip me off? Can I understand the train ticketing and network there? Etc. Frankly, most of these thoughts enveloped me the day I penned Amsterdam into my Football Pilgrimage itinerary. I planned as per the parameters below, took care to cover each of these parameters and now sharing them with you. The parameters were to cover Amsterdam in.. 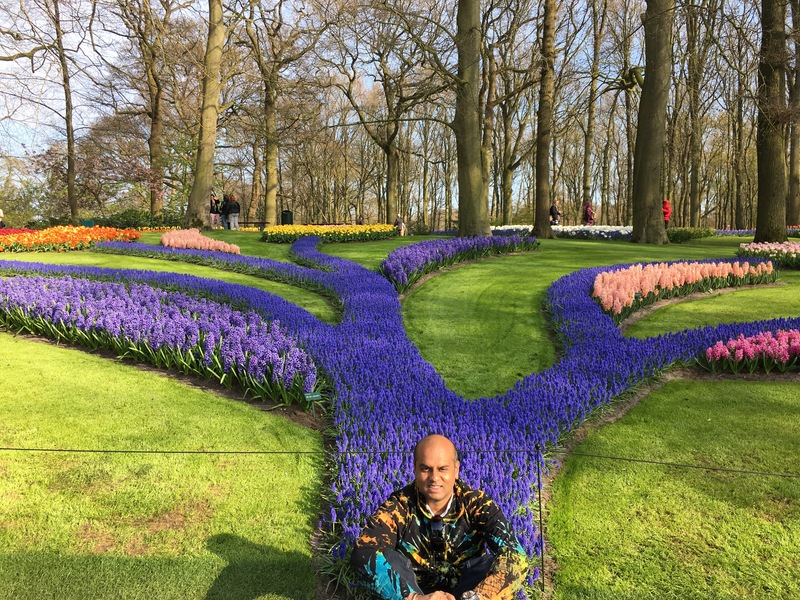 I must add, after my visit, I fell in love, and especially my Keukenhof experience means, will surely visit Amsterdam again. From wherever you fly into Amsterdam, you will land at Schiphol airport. Since your stay is going to be short and your rooms small, put any excess luggage in airport lockers – costs 9.5€ per day for a set of three pieces of luggage. The airport has its range of budget food (Hema), cheap shopping (Etos) and basic items shops (Albert Heijn). Use them to fill your stomachs and anytime to kill, either to or fro way! Only between Mid April to Mid May! 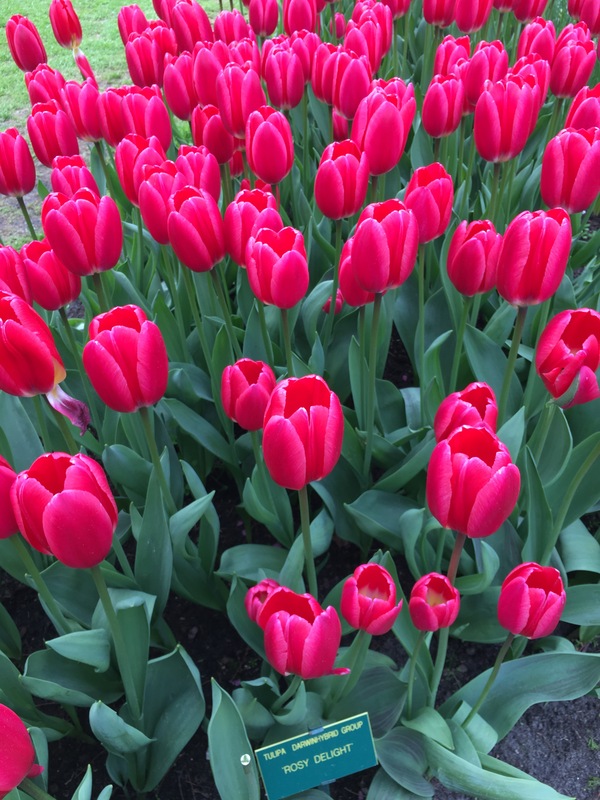 Remember we are talking about witnessing the best of Amsterdam and hence need to choose the best of times when the land of Tulips is in full bloom. Land by morning hours, within 8am – 11am max. Stay duration – a maximum of two nights. 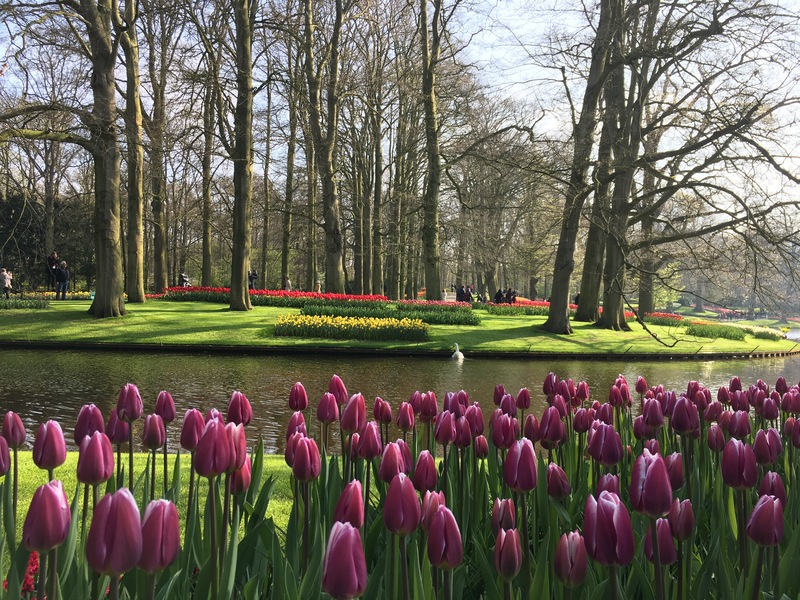 Take the bus 858 from Airport (Arrival 4 gate) and go straight to Keukenhof gardens. 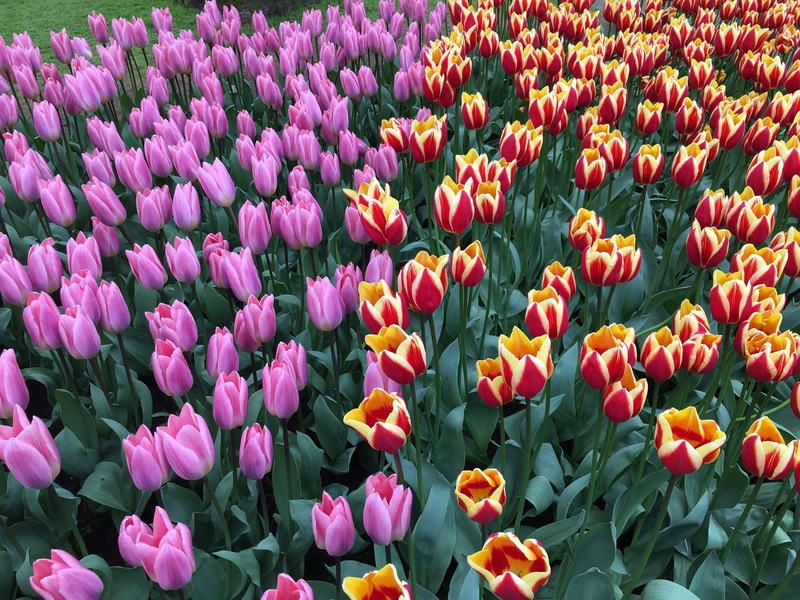 Your hotels won’t allow check in before 1pm-2pm and Keukenhof is closer to the airport. 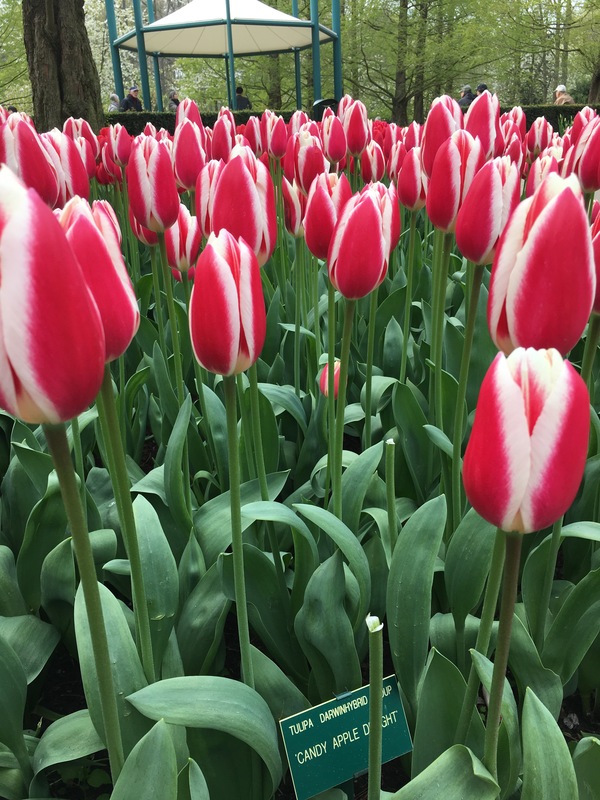 Buy Keukenhof tickets in advance from their website (Bus plus entrance ticket combo). The entire bus ride, airport and Keukenhof gardens are all covered by free wi-fi. Use the wi-fi to inform your friends, you are at Amsterdam! Keukenhof has free lockers too, in case you need to put some small sized luggage in there at the gates, than carrying for 2-3 hrs. Just need a 2€ coin as a deposit. 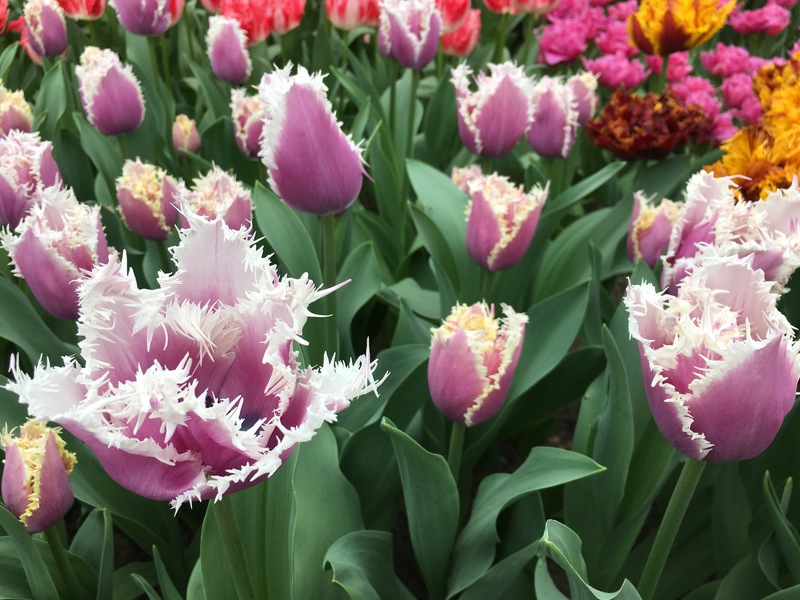 At Keukenhof, spend 3+ hours and be immersed in the world’s best garden. This is a must visit place. And it’s best viewed from mid-Apr to mid-May. The flowers are in full bloom only this time period. The Garden also operates only from mid-Mar to mid-May. There you go, why Amsterdam visit, despite the 5 deg – 20 deg temperature range, must only happen between Mid Apr- Mid May. Take the same bus 858 from Keukenhof to the Airport. Once there, buy the express train ticket to your station, whichever near to your hotel. 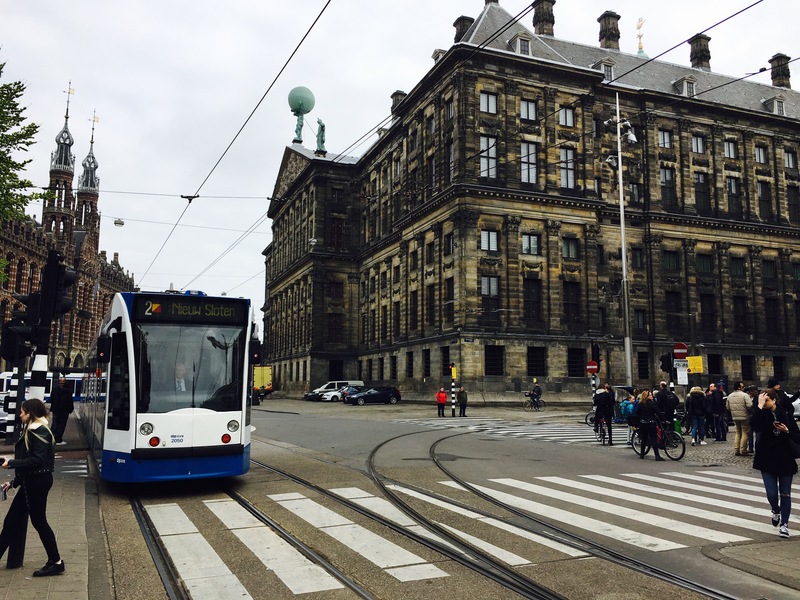 You can also take the 2-day Amsterdam card. 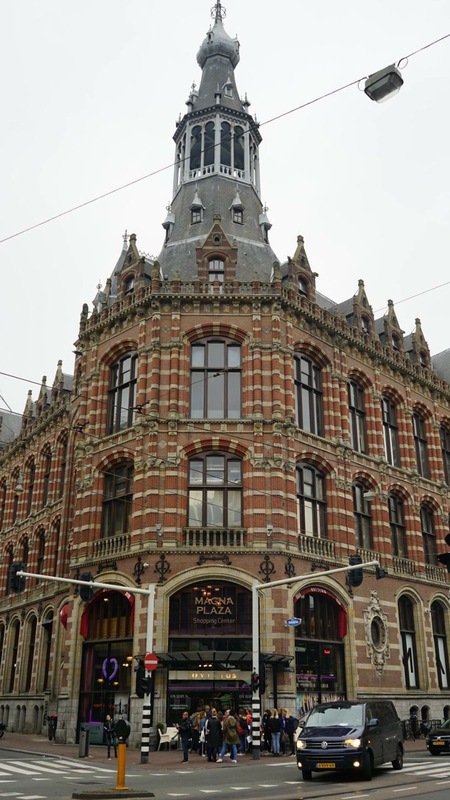 Hotels recommended – Hotels in central Amsterdam are dingy, expensive and situated in heritage buildings – meaning long narrow winding stairs, no lifts etc. Opt for an AirBnB or other bed breakfast arrangements but stay around that area only. Preferably near Van Gogh Museum, Rijksmuseum, Vondelpark belt – this is around 3 km from Amsterdam central, hence slightly cheaper accomodation rates and yet walkable to many attractions. You are staying for two nights only, so rather stay in heart of the city, safe area, nearby cheap eats, cheap shopping, hustle bustle till late night and walk/cycle to all main parts. Than stay far away, waste time in commuting and understanding train routes. You are with kids also, so avoid too much public travel. Costs – Around 150€ – 200€ per night for a quadruple room ie a room or full AirBnB or service apartment with four beds. Tip Alert – Ibis Hotel Central (next to the station), costs 140€ for a quadruple room if booked 3-4 months in advance. It’s a steal deal, factoring the location. Other strong recommendations: Hotel Nadia & Hotel Clemens. Amsterdam Central area is littered with cheap, ultra tasty, steaming, fresh cooking Chinese joints. 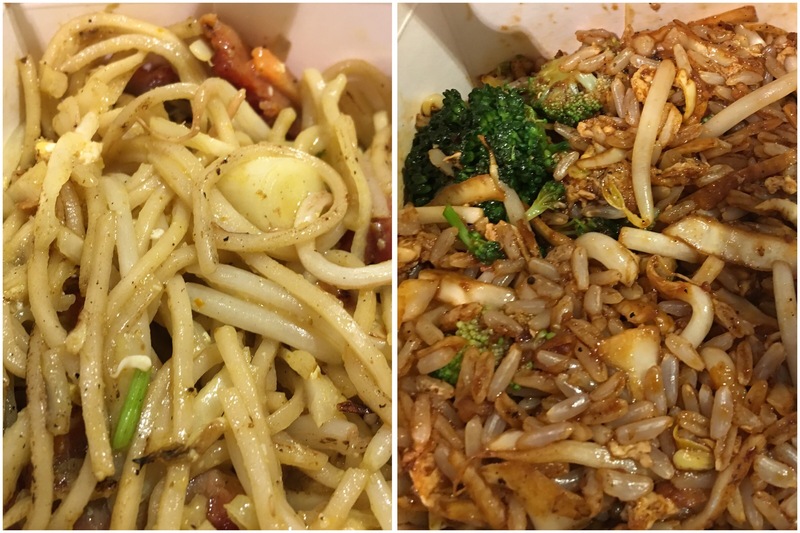 Wok to Walk, Yu Family Kitchen, Dragon City or Fu Lu Mandarin are all excellent joints, which I would rate 5/5 on value. They cost no more than 7€ per head for a more than filling meal and have adequate vegetarian options too. Mix these meals up with local gelato, bakery, cheese and pastry stuffs around and you are bound to have a great gastronomic day too. Vegetarian recommendation – Maoz Vegetarian Falafel outlets. Strongly recommended. Walk/Cycle around the Central area, the canals. Do a boat canal tour if you feel like (not mandatory to do). 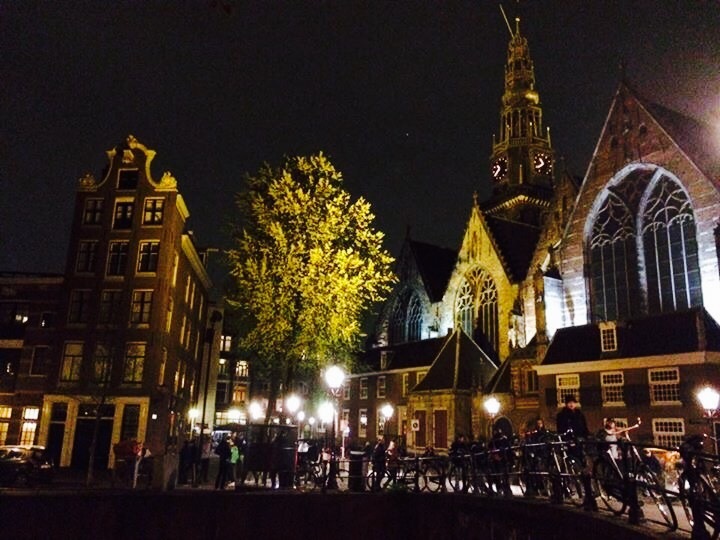 It would be evening time by now, on your first day, and a visit to the De Wallen area is mandatory. Since your hotel is close by (and this is one of the reasons why it should be close by), drop your kids to rest there after a long day. 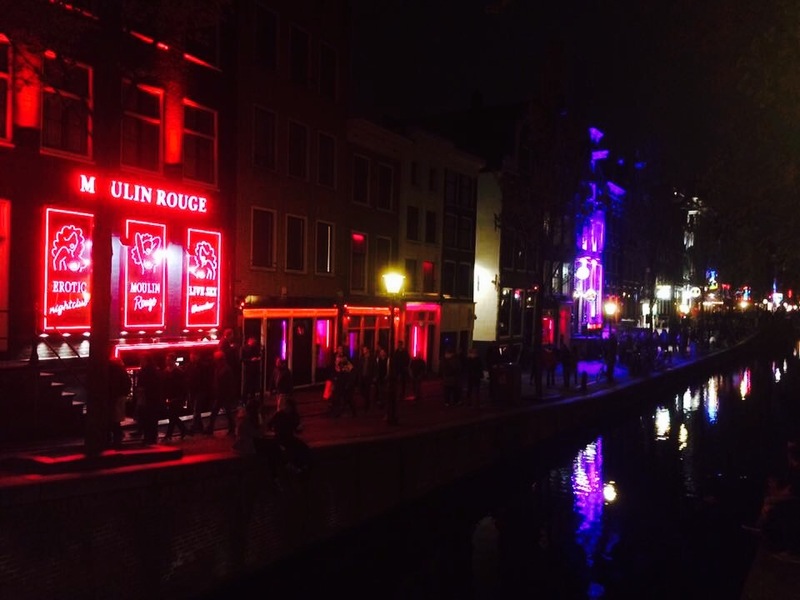 De Wallen is vibrant, different, crowded, bustling, well-lit up and a legal place to the world’s oldest profession. 8pm onwards this place is teeming with people including tourists, couples and ladies groups. The area consists of numerous streets (parallel to each other), loud music and cannabis/marijuana smoke in the air. And pretty ladies – a couple of them looked like Bollywood actresses in their peak – Minissha Lamba and Bruna Abdullah – I kid you not. There are many dos and don’ts for this place. – Do not take pictures, disrespect or play the fool with the girls – you are sure to face the consequences of doing either. – Do not talk to random strangers calling you at the alleys – he would likely be a drug peddler. – Do not bring your kids to this area for obvious reasons. – Do take care of your wallet, valuables. Preferably, aside from little cash, all your credit card, passport and other valuables should be locked in the hotel. – Be respectful and talk only the bare minimum amount required. – If you want a service, do talk the terms in detail, to avoid any hassles later. Fix the price (50€ is a standard), but do ensure most pleasure things you want is included in your time and activity. If you have bargained for 30€ or 40€, be very sure of what this amount consists of, else you may get into a likely quarrel or dissatisfaction. 8. 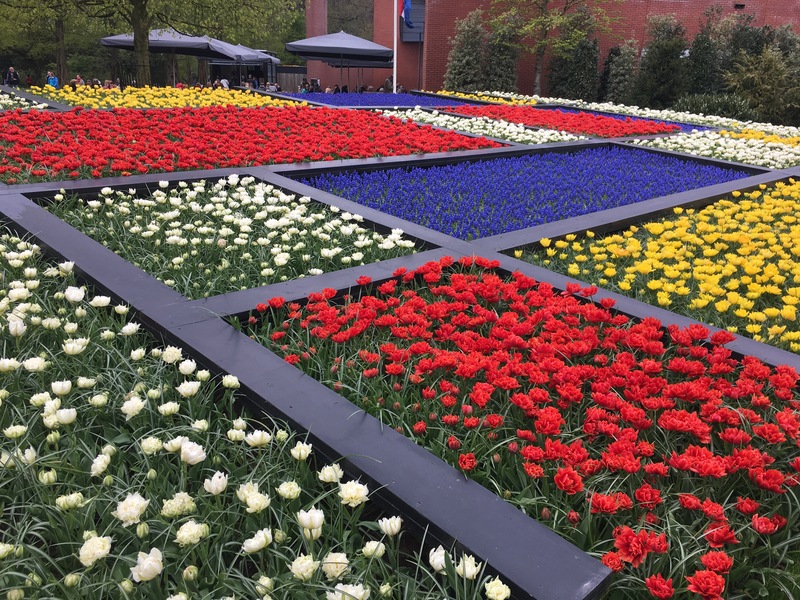 Day Two – Rijksmuseum – Van Gogh Museum – Laze around Museumplein – Picnic at Vondelpark. Day two should be spent in soaking the Amsterdam spirit and culture. Visit the museums and the parks as mentioned in the header. Each of them would be located close to your suggested hotel area, so cover all by foot. For museum tickets, always buy online, beforehand, to reserve day/timings, to save queuing time, to save from potential pickpocket situations in queues, reduce stress and better pricing. Online tickets often have discounts. Do a family picnic at the lush green and beautiful Vondelpark. 9. 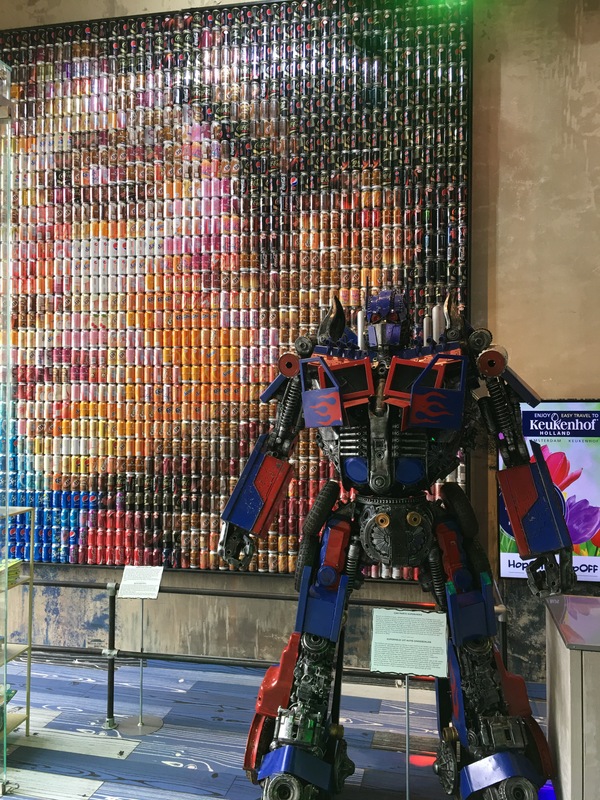 Day Three – Anne Frank Museum – Ripley’s Believe it or Not – Shopping. 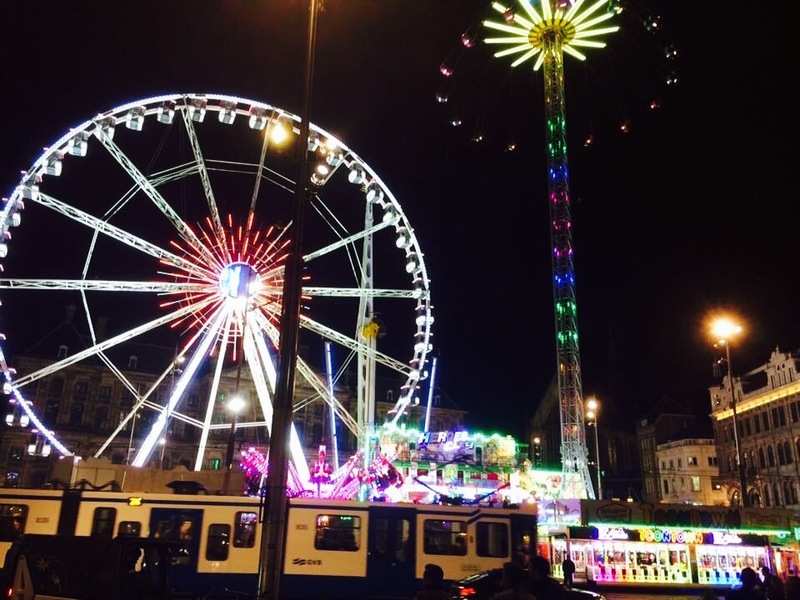 Day three is your final day at Amsterdam (you can stay longer! but my blog is for budget travellers). Laze in your apartment and start the day relaxed. Come to Central area and visit the Anne Frank Museum. Do block your tickets and timing online, in advance, for Anne Frank Museum – it’s a must visit place. Then move to Ripley’s Believe it or Not. This place is closer to Central station and also cheap shopping outlets. It’s a must do place with kids as it teaches the importance of accepting humans and animals the way they are. I bought a one-eyed dog soft toy and my daughter loves it just as much and doesn’t feel one-eyed an odd thing. 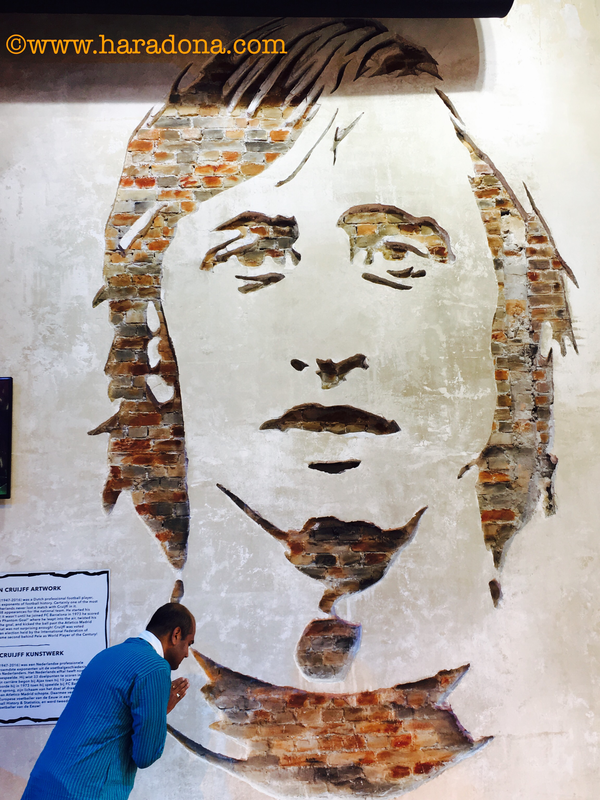 Johan Cryuff – The footballing maestro, engraved on Ripley’s wall, gets my tributes! After Ripley’s museum, walk over to the budget stores to do all your shopping needs. These are places which provide good discounts on branded, home products and generally cheaper than average store. Once shopped, move to the Central station to proceed to your next destination. Smoked goat cheese sausages, Stroopwafelsboth and green/black pepper mixed cheese (all vegetarian and halal products) are must take home for family, friends and kids. You get them in most shops so go for the one that suits your budget. Albert Heijn store is the best value for these products. So what’s the damage to your pocket looking like for a family of four? – 20*2 for the train to and from the airport. – 175*2 two AirBnB/apartment nights for four. 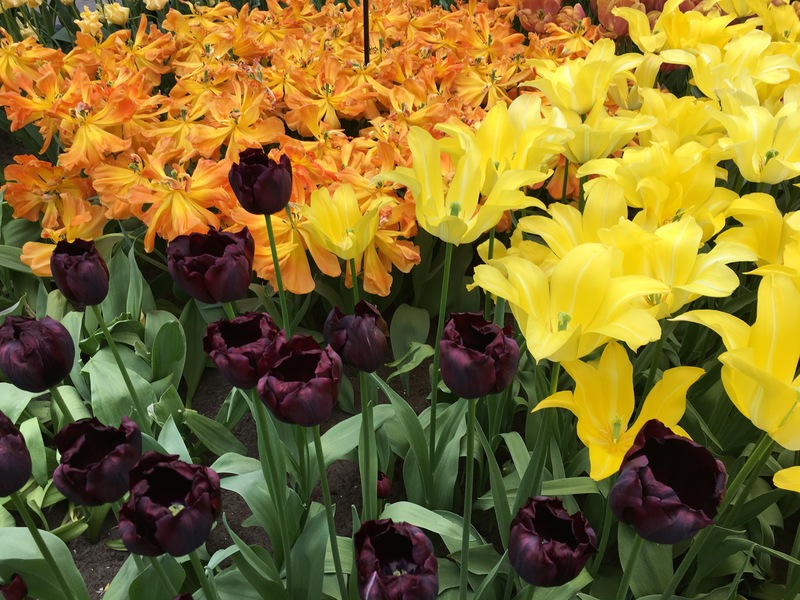 – 200 euros for three museum tickets, Keukenhof combo ticket and cycle hire for four. Essentially the above totals to just above 700€. Include a bit of souvenir shopping and De Wallen expenses, I can’t see the total bill crossing 850€ (920 USD) for a family of four for three days at Amsterdam. Three dreamy days. 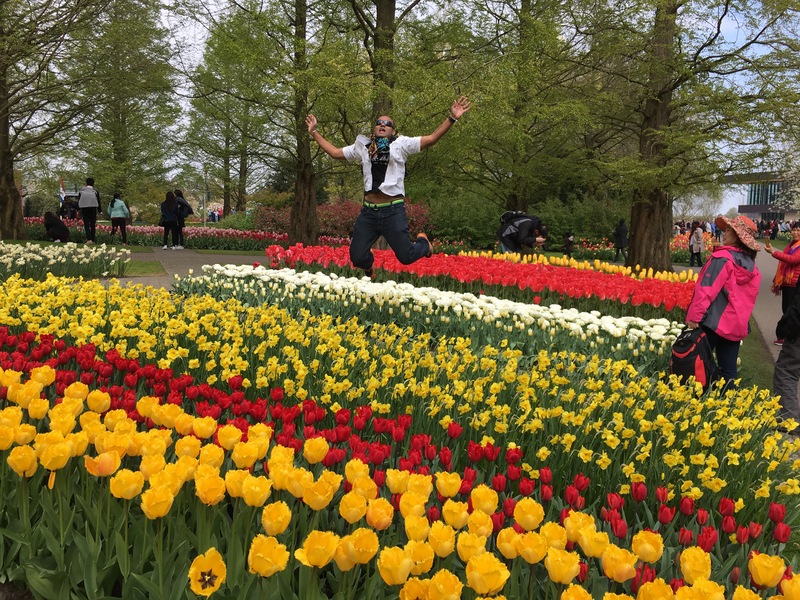 With Amsterdam ticked, world’s best garden ticked, world’s best red light district ticked, museums, canals, lovely weather and Amsterdam atmosphere ticked. All on a budget. Stick to the basics as mentioned above and you will unlikely not encounter any bad incident or rip off. I added Amsterdam to our Spain and France legs only to tick this place, but I will need to come back again here. This place deserves to be soaked in, all on a budget! Very nice write up this one . Reminding me of my own travel to this beautiful European city some 30 years ago !!! 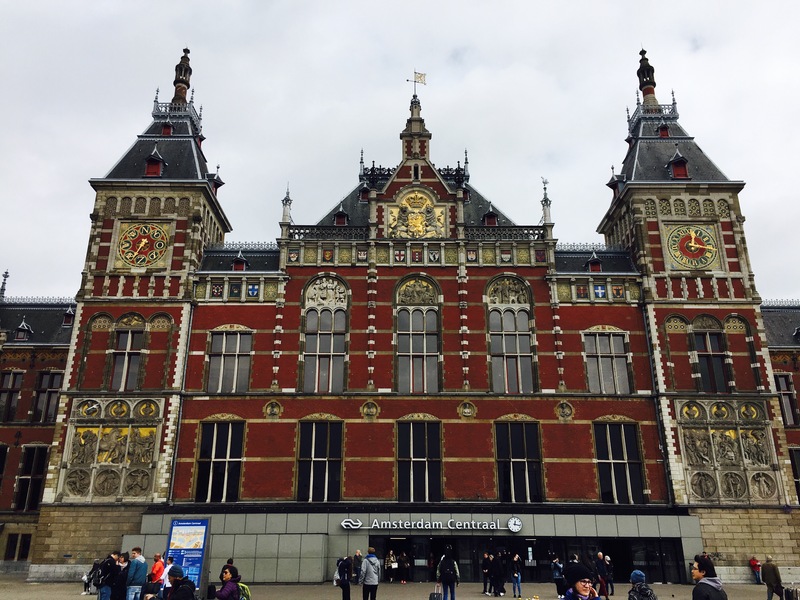 My stay at the Victoria Hotel right opposite the beautiful Amsterdam Central Station . 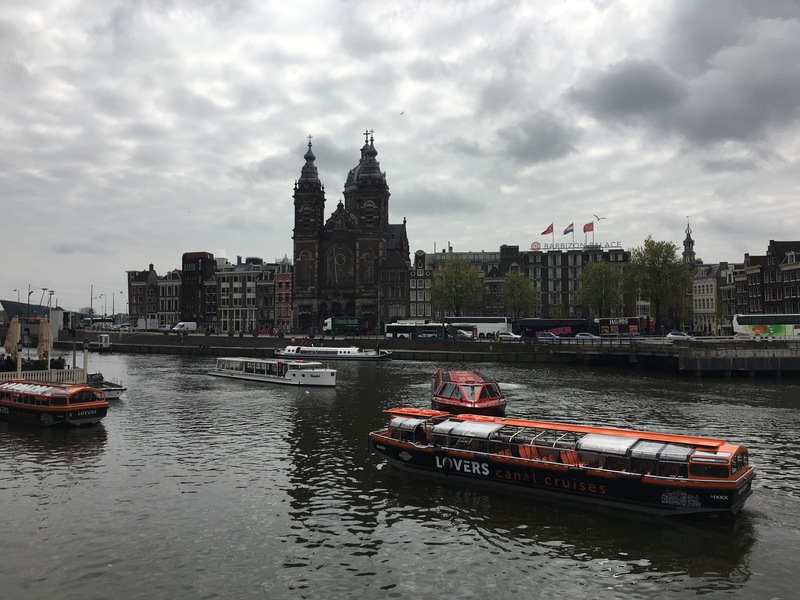 My cruise in the canals and my visit to RijksMuseum where I saw the famous painting ” The Night Watch” by Rembrandt . I also remember that I was very hungry and couldn’t find any restaurant serving vegetarian food . And then I ambled to Leidseplein – and tears rolled out of my eyes when I feasted on tandooris and white rice at ” The Tandoor” . The night ” no holds barred” shows, however, were a total disaster , I simply couldn’t stand them and walked out in utter disgust . I am sure that a lot much have changed since then . Great, detailed writeup. While there a few years ago, I found the Indonesia food joints pretty good and affordable too. Thanks so much for appreciating and your nod of the details. Yes its quiet interesting that south France has excess Indian food joints and Amsterdam has excess chinese and as you say Indonesian places… surely has to do with the times when the Dutch ruled over many parts of asia. Very detailed write up with beautiful pics. Thanks so much Sapna for your appreciation. Such words urge the writer in me to continue exploring the world and guide to all the people who want to travel but have limited budgets. Wonderful tips & clicks Avijit ! Such great posts on Budget travel did help me to save some good amount of Currency however ,out of my own travel experiences of recent years , I too have penned down some small but practical tips to get Luxury Hotels as well as some good add-ons (room upgrade , sightseeing etc.) on a budget price . This is really an intelligent blog. Personally I execute step 2 in more detail as I avoid going through agents to cut out their commission costs. Since am anyways putting lot efforts. But yes if going through agent then step 3,4 makes lot of sense. I avoid taxi pickups drops n meals through one place as then it helps me research on local transport local eateries and do and learn the way locals do. Frankly if a book a Novotel with meals and drops then the experience is going to be the same no matter what city I stay.